PIC: @AngryAsianProf generously shared his haul of fresh tuna/ono sashimi. I brought the cake. PIC: @AngryAsianProf generously shared his haul of fresh tuna/ono sashimi. 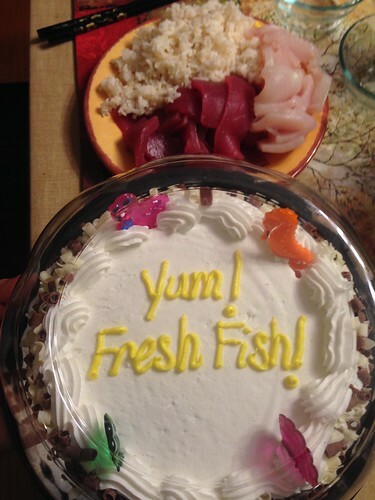 I brought the cake., originally uploaded by @jozjozjoz.